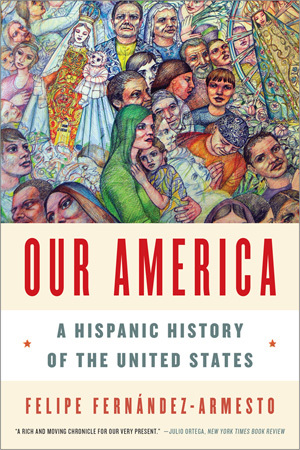 This absorbing narrative begins with the explorers and conquistadores who planted Spain’s first colonies in Puerto Rico, Florida, and the Southwest. Missionaries and rancheros carry Spain’s expansive impulse into the late eighteenth century, settling California, mapping the American interior to the Rockies, and charting the Pacific coast. During the nineteenth century Anglo-America expands west under the banner of “Manifest Destiny” and consolidates control through war with Mexico. 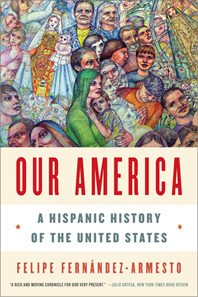 In the Hispanic resurgence that follows, it is the peoples of Latin America who overspread the continent, from the Hispanic heartland in the West to major cities such as Chicago, Miami, New York, and Boston. The United States clearly has a Hispanic present and future. And here is its Hispanic past, presented with characteristic insight and wit by one of our greatest historians.